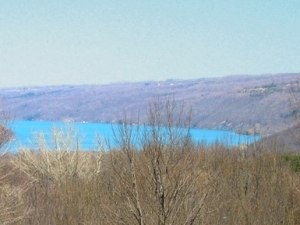 The Glen Haven School and Library is the result of a unique partnership of local residents and summer visitors to the once famous Glen Haven Spa and Water Cure around the south end of Skaneateles Lake. The School District No. 4 was formed in 1819. It held sessions from 1820 to 1968 (148 years) in several different buildings. 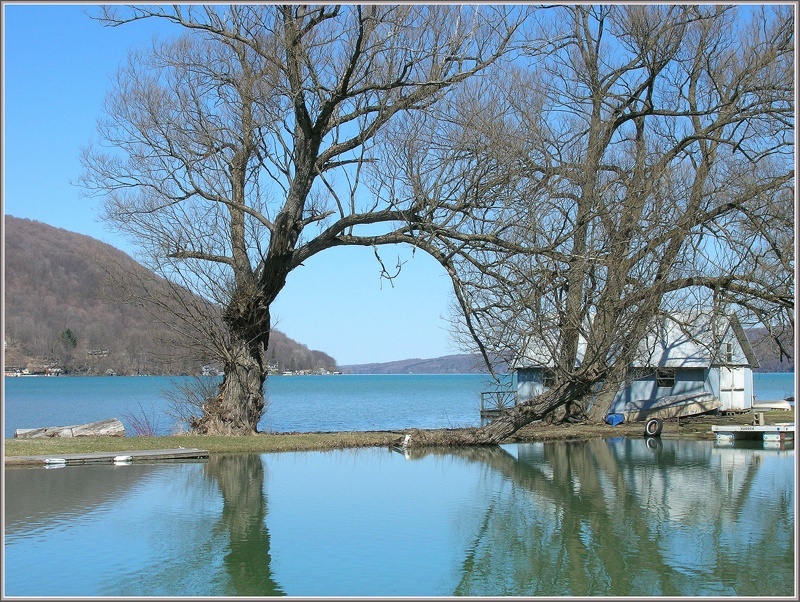 It was the basic school for the children of early settlers in the "Lake Hollow". Samuel and Permilia Scott transferred the deed of the current school lot to the Trustees of School District No. 4 of Scott and Sempronius for $35.00 in 1856. This deed stipulated that the property must be used "for the purpose and accommodation of a school." In 1892, fifteen local children wanted to honor the four-hundredth anniversary of Columbus' voyage. Known as the 'American Flag Club,' they worked at various chores to earn enough money to buy a new flag for their school. This seemed like a monumental task to the children. Miss Anna Redfield Phelps was a continuing summer resident of the Glen Haven Hotel. She strongly influenced forming and supporting the Flag Club. It is thought that U.S. Army Lieutenant Walter K. Wright, a Glen Haven Hotel guest, acquired a large 20 by 12 foot flag and presented it as a gift. This allowed the Flag Club to donate their $50.00 to the school to purchase a Webster Dictionary and start to furnish a Library. Miss Phelps further pursued establishing a separate Library. 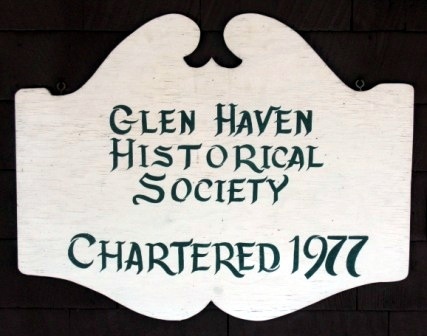 Patrons of the Glen Haven Hotel and the local area formed a Board of Library Trustees. They had various fund raising enterprises to fund a local library. The School District No. 4 Trustees were also trying to fund a new school building because the area was outgrowing the old building. Over the next nine years the two independent Boards worked separately and finally together to accomplish their goals. The Glen Haven Library received a charter from the New York State Board of Regents in 1893, which authorized the receipt of additional funds for books. The Library Trustees had a design developed by New York City architect, Ehrick K. Rossiter. School District Trustees did not immediately approve the design, but through discussion and compromise a second design was accepted. The building was constructed during the summer of 1901 by local carpenter Andrew Lieber, and dedicated 25 September 1901. The cost of the building was approximately $2,300.00. 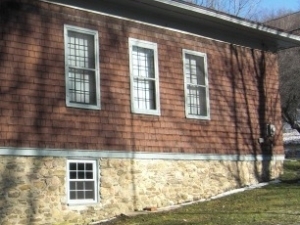 The present building for the Glen Haven School operated from 1901 to 1968. Typically grades one through six were taught and some years included the seventh and/or eighth grade. School District No. 4 was independent until 1946, when it became part of the Homer Centralized School system. Local residents voted not to consolidate further until 1968. After the 1968 school year, the school was closed. Once the building was no longer an operating school, the tax records were changed from the exempt status. Then, the property records reflected the ownership as the 'heirs of Samuel and Permilia Scott.' Taxes continued to accumulate as no one came forward. In 1975 the area residents formed the Sleeping Squaw Cultural and Heritage Society (the predecessor to the Glen Haven Historical Society.) 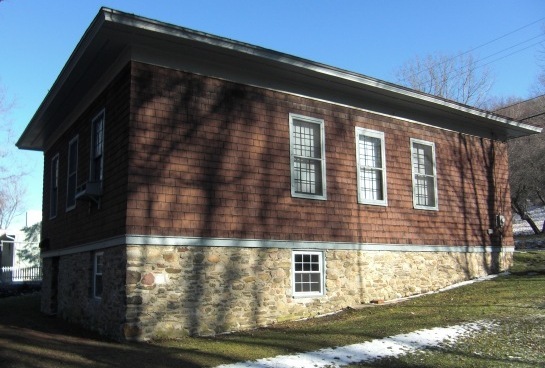 In honor of the upcoming Bicentennial Celebration and the important part the Glen Haven School had played in the development of their families, this group began efforts to save their school and library. The unpaid tax was not the only issue in need of resolution. When Homer schools moved out in 1968, the District abandoned the building. The dedicated members of this community came together to clean, repair, and restore this beloved building. They also undertook the task of paying the back taxes, hoping to get the property through a tax deed. In 1976, as the Society was in the process of getting a Charter for their organization, a new hurdle appeared. Mr. C. M. Hazard, of South Carolina, presented himself as an heir of Samuel Scott Jun III and paid the back taxes. The Society was suspicious of the coincidence of timing. Based on legal advice, a tremendous task began to locate as many of the living heirs of Samuel and Permilia Scott as possible. 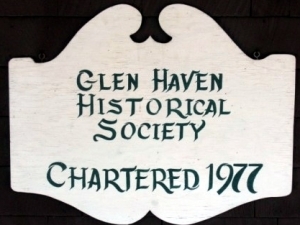 As heirs were located, they were excited to transfer their portion of the title to the property to the Glen Haven Historical Society. In consideration for this generous gift, Samuel and Permilia Scott and their heirs would be honored by a permanent display in memory of their contribution. 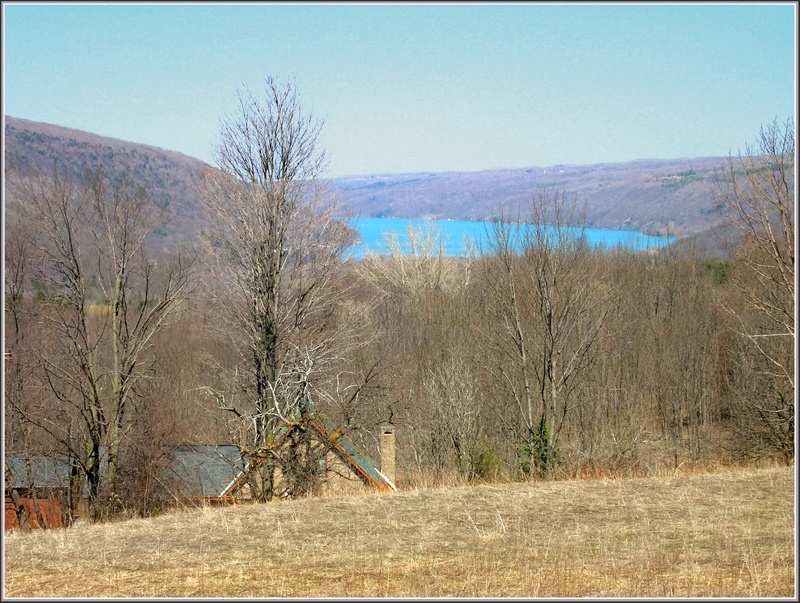 Mary Dexter, of Cortland, conducted the genealogical research to trace the Scott family descendants. She said this was a very interesting challenge in that it was the reverse of starting with your immediate family and working backwards. She had to start with Samuel and Permilia Scott and work forward through their thirteen children. She dedicated time over three years, to secure the "quit claim deed" transfers of the property, developing a detailed genealogical document in the process. Having received the necessary transfers of property from over thirty Scott descendants, the Society had a dedication to the Scott family at the annual meeting in August 1978. The State Board of Regents approved a permanent charter in December 1980. The building was placed on the National Register of Historic Places in 1997. 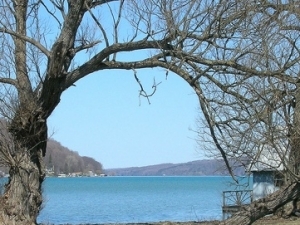 This synopsis is based on multiple sources including the Cortland Standard newspaper, Mary Dexter's "Search for the Descendants of Samuel and Permilia Scott, a paper by Catherine M. Hanchett, "The Glen Haven Hotel and its Gift to the Community, Glen Haven Historical Society meeting documents, and discussions with local residents. All content is copyrighted by the Glen Haven Historical Society, except as noted otherwise.